I found this printed material in cotton and immediately bought it. It was wonderful for a patiala salwar. 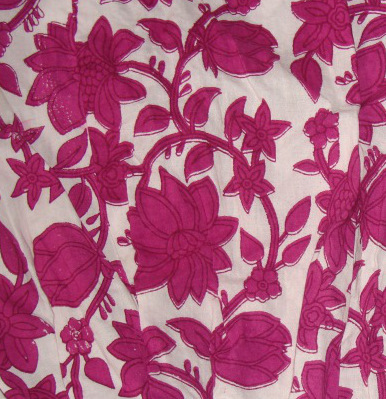 The bold print was not ideal for tunic, for which I bought plain soft cotton in majenta. 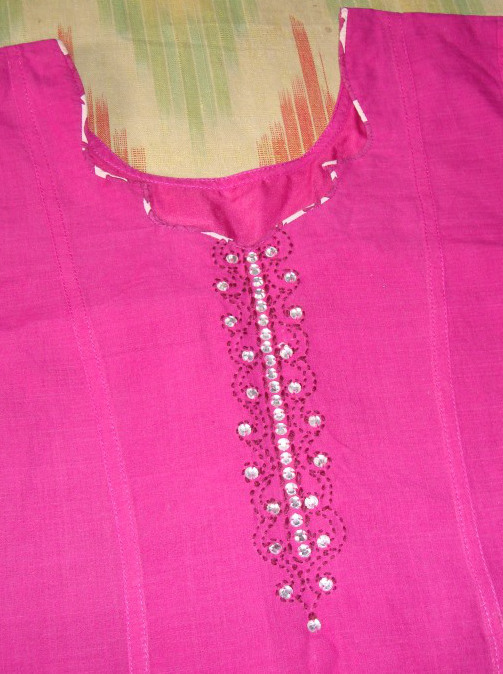 I used 4 strands of plum colour cotton skein for the embroidery and medium size white stones for embellishment. If I had used some white perle cotton, it would have made the embroidery stand out, but the fabric being cotton may run and with this dark colour, I did not want to take the risk. The tailor did a good job on this set and it looks lovely.